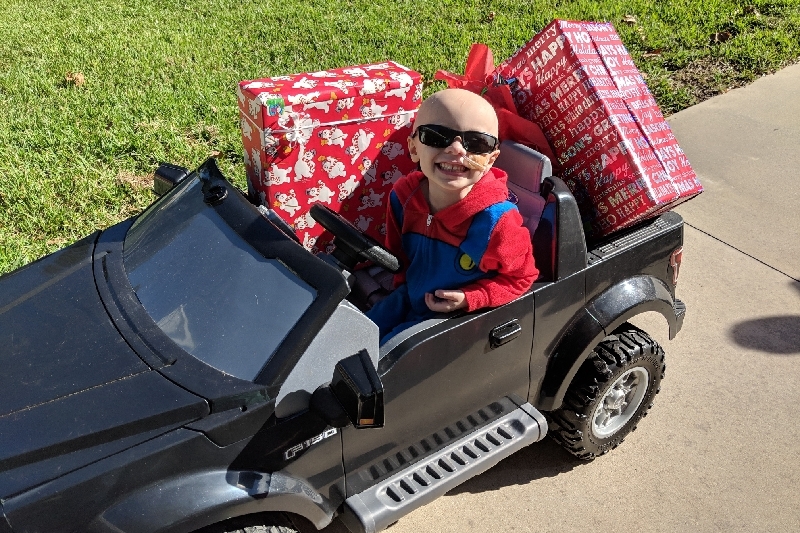 This is my grandson, Silas Cipollone, he is only 4 years old and this week has been diagnosed with stage 4 Alveolar Rhabdomyosarcoma, a rare and agressive childhood cancer...He has a tumor in his lower abdomen and recent PET scan results show that cancer has spread to his spine. 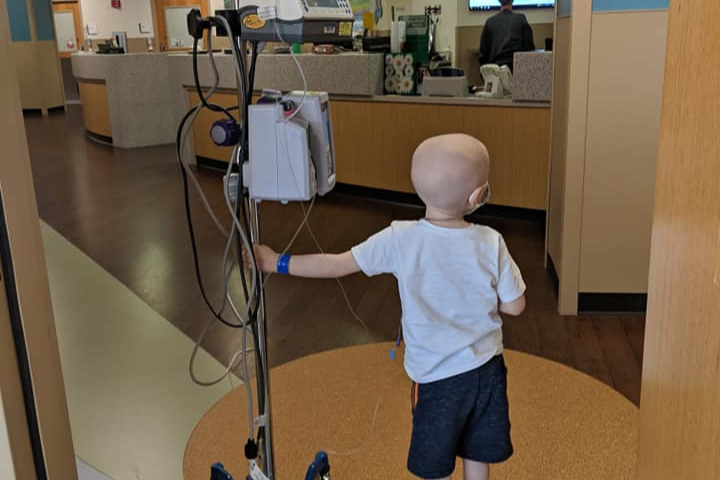 Silas started Chemotherapy on July 13, 2018 and it will continue for 54 weeks. Once the tumor has shrunk, he will undergo surgery to remove it then radiation therapy to kill off any lingering cells in hopes that it doesn't relapse. In addition he may need reconstructive surgery, depending on what the tumor is attached to. After treatment he will need to be monitored frequently to make sure the cancer doesn't reoccur. As of today, July 19, 2018 Silas isn't able to walk without pain and may need a wheelchair and or walker to assist him and physical therapy to get him mobile again. All of this makes this GoFundMe project so very vital to this family. 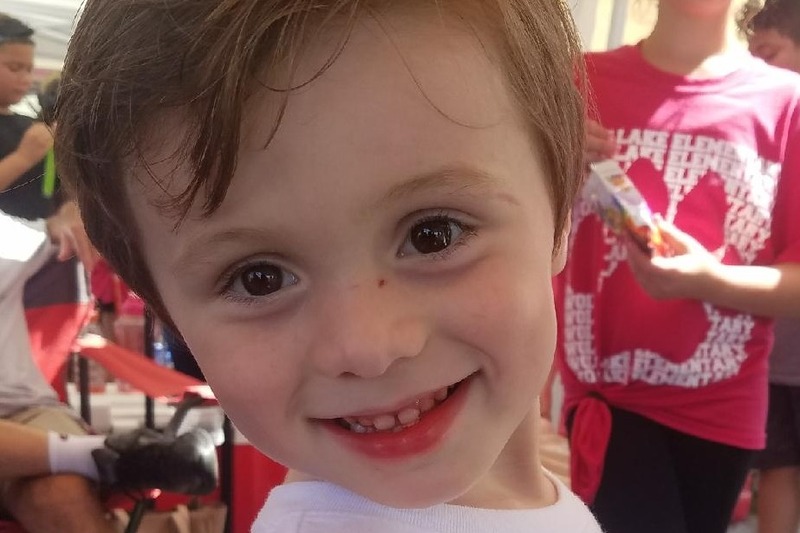 Silas was going to start VPK in the fall and his mommy was looking forward to moving back into the workforce after being a stay at home mom for 4 years. All of that has now changed. 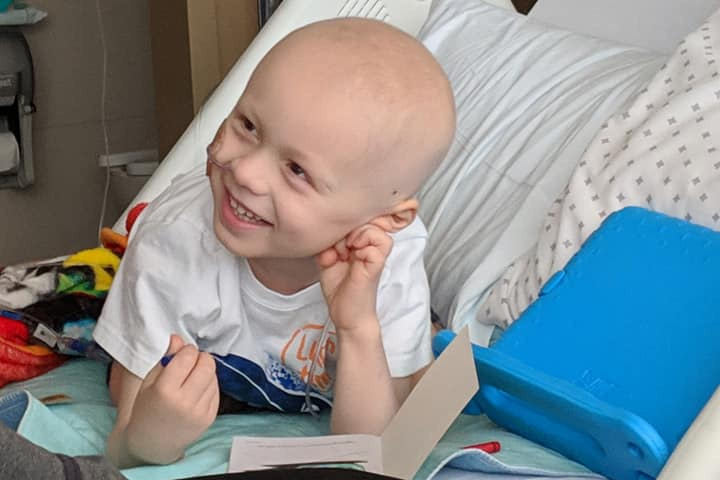 Silas will be undergoing chemo for 54 weeks and his immunity to fight infection will be very low, he will not be able to go to school and his mommy will remain a stay at home mom as long as he needs her. His daddy and mommy will have a long struggle ahead. Their expenses have already started mounting and will continue for years to come. 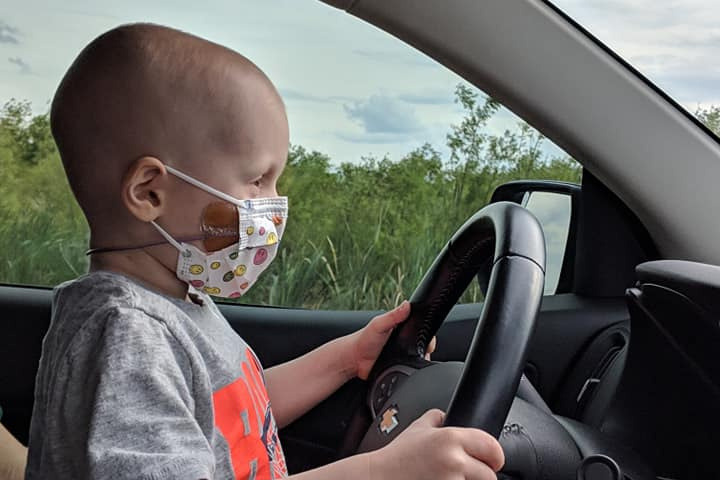 In addition to the medical bills, they will need to make many changes to their home in order to care for an immune compromised child. Please give what you can, share this with everyone and pray for him and his family. You can read more about his story at the link posted below. I wanted to give everyone an update since we've completed radiation therapy. Silas got through with minimal effects, at least from the outside. He developed a small burn area, but it healed rather quickly. Unfortunately, it's caused a great amount of inflammation on the inside, which is common, but causes a lot of discomfort when using the restroom. We're working through this the best we can, but it's so hard to see him go through this. We had scans last week, and have gotten our results. Due to his recent radiation therapy, they were unable to make a complete determination on his progress. Though, they were able to determine that no new metastatic disease has formed. His team of doctors are confident his treatment is still working for him. We're hoping the next scans continue to show things are still working. This week, we are on Week 29 of his 54-week treatment schedule. While it's been longer than 29 weeks due to delays in some of his chemo treatments for various reasons, it still seems like it's been a lifetime ago since we found out his diagnosis. We've adapted to this lifestyle, for the most part, but we still miss some of the things we used to do freely. We still do our best to do activities that are safe for Silas as a family. We love going to the Wild Life Drive in Apopka and counting the alligators in the canals. Silas likes to sit on my lap and drive (which he does amazingly). We try and make it over to friends houses when his counts are acceptable. But for the most part, we do our best to keep busy at home. As always, we're blessed by everyone's outreach and we can't thank you all enough for your continued prayers and support. We will continue to keep everyone posted on our journey. I wanted to post another update for the month of February. Silas finished #20 of his 23 radiation therapy treatments this morning, and we see the end in site. This part of his overall treatment process has been very good for the most part. He's had some minor problems, but nothing that could stop him from having fun. He comes home every day, pushes open the front door and shouts, "I'M HOME," after every one of these radiation sessions. And then he goes inside, and plays with toys or watches his favorite shows on TV. From time to time, weather pending, he goes outside and drives his truck around the yard. Or sometimes he comes into the garage with me while I'm doing some organization or whatever, and just talks to me. We don't get to go out and do much as a family these days due to the precautions of keeping his health at top working order, but he's definitely not letting anything get him down. Through the last 4 weeks, he's gone through not only radiation, but chemo as well. And even with getting hit by both, he's overcome it with minimal side effects. It's mind-blowing the amount of stuff that is happening to his little body, and he's just walking through it like a superhero. But I do need to add, there is another person who is doing an excellent job with this, and it's my wife. For the past 4 weeks of these treatments, my wife is up at 5:30am every morning to get not only herself, but Silas as well, up and out the door, all the way from North Lake County where we live, to the hospital in Downtown Orlando for his appointments. She's there by his side at all times, and I know it's hard on her. She's always in bed early the night before, and always has a hard time staying awake early in the evening. Unfortunately, due to my busy season with work, I've been unable to make it to these appointments. I stay home, get our daughter out of bed every morning, make her lunch, and make sure she's off to school each day. Then I work for the rest of the day. 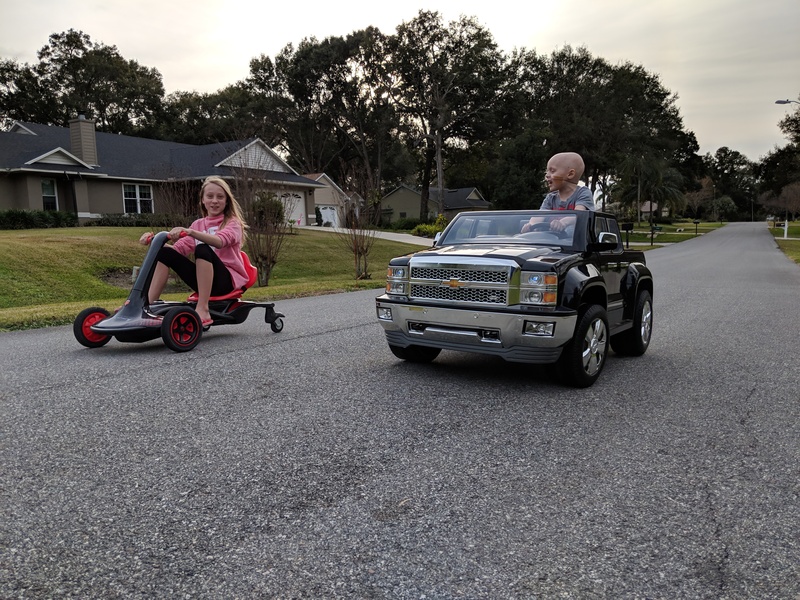 But Courtney is doing great, and with the end of this week being the last of our radiation treatments, she'll get a well-deserved break next week. My family is thankful to have her. So, onto what's next. Next week we have an off week. No chemo or any treatments. The following week Silas will be admitted into the hospital for a couple of days for the next dose of chemo. And then the week after that we get our next set of scans. We're hoping that since the surgery, and since the radiation and chemo, we'll have some good news to share. We will still continue the chemotherapy treatment through Sept/Oct, and depending on how everything looks at the end of it, we may look into maintenance therapy to prevent anything from coming back. We will still be going every 3 months to scan for cancer, and eventually we will move to every 6 months, and then to every year. This will be a life long process for him, to make sure it never returns. And while it's an inconvenience, it's welcomed by us to make sure he lives a full life. 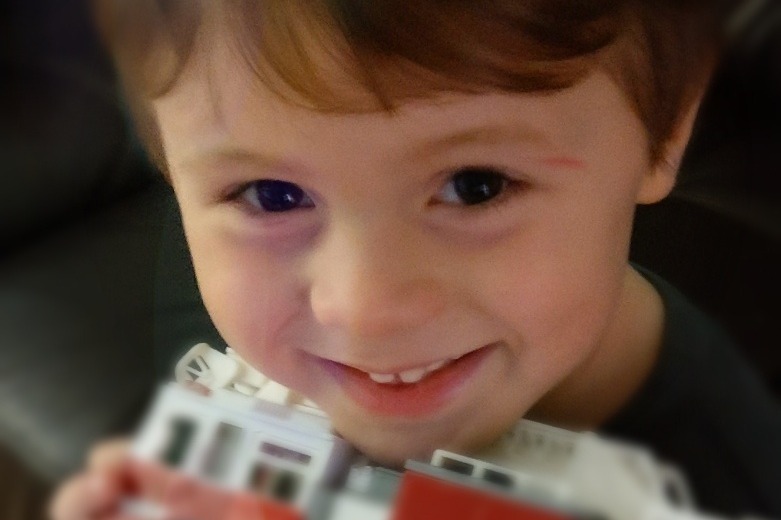 Also, coming up, is Silas' 5th birthday, on March 31st. We will have to plan a party around treatments this year, just as we did the holidays. Hopefully we can have some type of party for him and have his friends over without him being in a compromised state with his immune system, and most importantly, we hope we're not in the hospital for it either. Lastly, as always, we can't thank our supporters enough for being a part of this journey. Along with our family, friends, and our medical teams, you are so very important to us. We could never thank you enough for your generosity. I'm a little late on this update. It's been a very busy holiday season, but a lot has happened and I'm happy to share with you all, our extended family. In our last update, we were happy to say that Silas is still trending in the direction of beating this. Well, on December 10th, he had his surgery to remove his tumor. Prior to the surgery, our surgeon stated there was a chance that his bladder would have to be removed as the tumor may have grown into it. This was a decision that we would not make, but instead it would be the surgeon during the surgery. It would've been the difference in a 3 hour surgery and an 8+ hour surgery. It would have also been the difference in Silas' way of life for a very important function of his body. 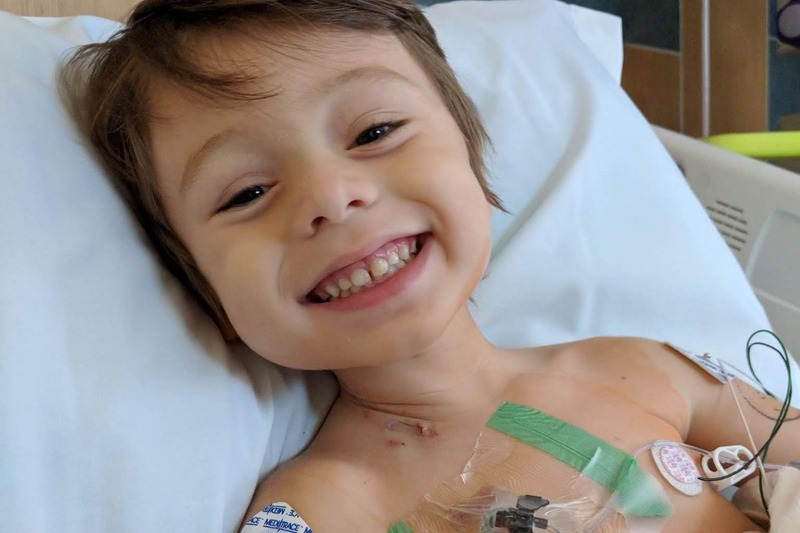 We are happy to report that the procedure came out with the best possible scenario, and that about 98% of his tumor was removed without losing his bladder. The surgeon said that the remainder should be eliminated with the remaining chemotherapy and radiation treatments. We couldn't be any happier with the outcome of this surgery. Since the surgery, he has recovered very well with only minor side effects. Within 5 or 6 days post-surgery, he was back up and walking around the house, and now he is even happier. Today, you can tell there is a difference in him than prior to the surgery. This was one VERY big step forward for him, and he did amazing. Chemo started back up on Christmas Eve, and unfortunately, it was a 5-day round. This meant we were in the hospital for Christmas. But, as our family does, we made the absolute best of it. Christmas Eve, Santa came to visit and Courtney and Chloe stayed with him overnight. I was unable to, as we have additional responsibilities at home, but I made it to the hospital bright and early Christmas morning. We spent the day opening gifts and having visitors from family and friends. It was a great Christmas. On the last day of treatment, Silas was taken in for marking from the radiology team. His markers are in place and ready to begin radiation treatment. Our consult with the Radiologist was better than we expected. Because Silas was able to go through surgery to remove his tumor, his treatment may only last only 4 and a half weeks as opposed to 6 weeks. He also will not require the full doses of radiation. This means that the side effects won't be as severe. We are still scared of the treatment itself because of what it involves, but we know this is progress and moving forward to his recovery. We are still so truly blessed to have everyone who follows our story praying for his full recovery from this terrible disease. Prayer has helped us get through this so far, and it will continue to keep us together as a whole. We love you all, and we hope you had a great holiday season and hope that your New Year is as blessed as ours. I hope everyone has had a very blessed Thanksgiving. I wanted to give a little update on where we are at right now. First, I want to thank everyone again for their support and generosity. While our family has been dealing with this, which no family should ever have to, we have had a lot to be thankful for. So, for the quick update. We had a new set of scans done recently. These were the scans that would tell us if Silas is still progressing in the right direction, and if we can schedule the surgery to remove his tumor. The results are in, and we are still moving in the right direction, and they are confident that the surgery can be done at this point. We had a brief consultation with the surgeon last week and there is a chance that more will have to be removed than what we originally expected. This certainly came as a surprise to us, but we are praying it won't come to the worst case scenario. Unfortunately, we won't know the outcome until the surgery takes place. They are aiming to do the surgery in the next couple of weeks, and we hope to be finished with recovery before Christmas. Radiation therapy will follow, likely towards the end of they year, or the beginning of January. We have a lot of faith in the team who is caring for Silas. They have been very good at explaining the next steps for us, and we owe them so much for getting us to this point. I look forward to providing an update after the surgery, just in time for the holidays. We hope everyone has a blessed holiday season with their families.